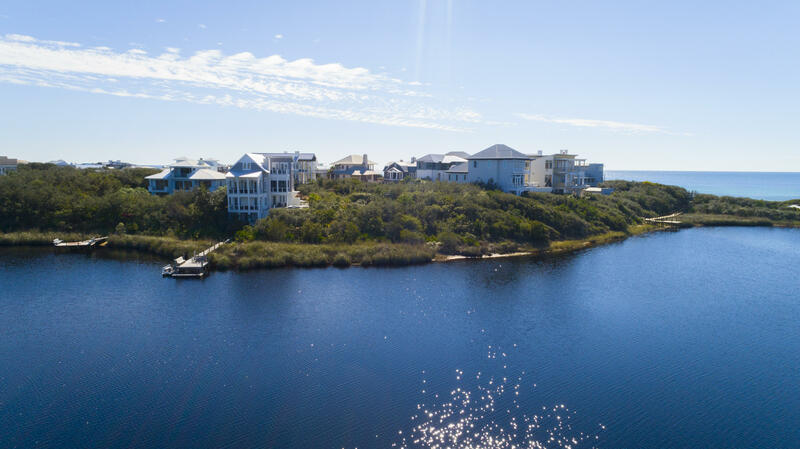 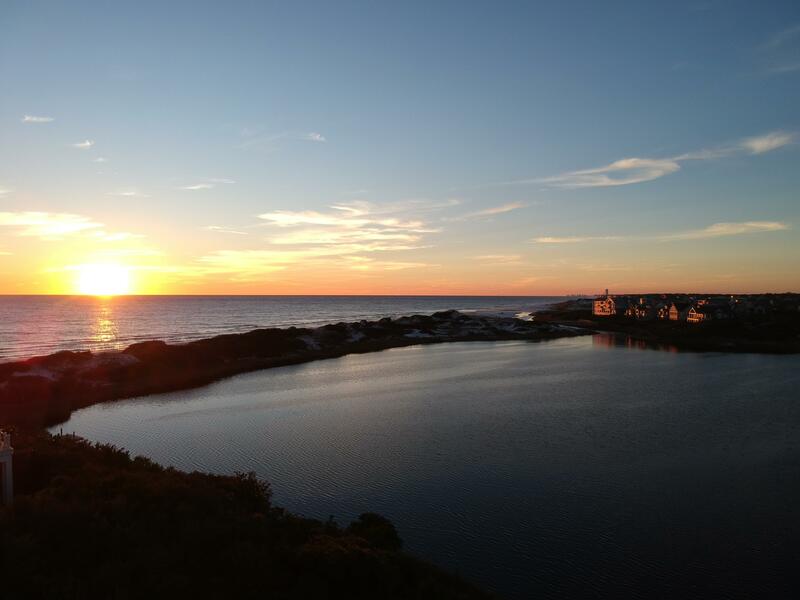 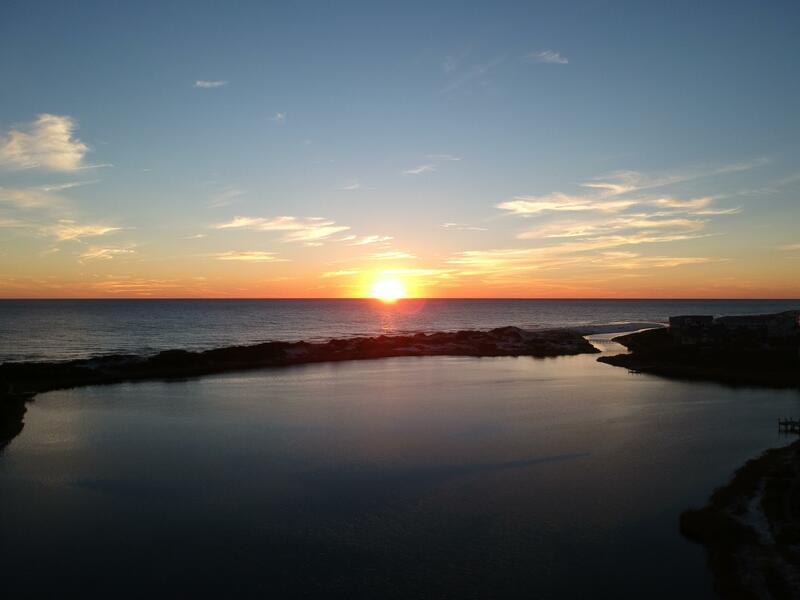 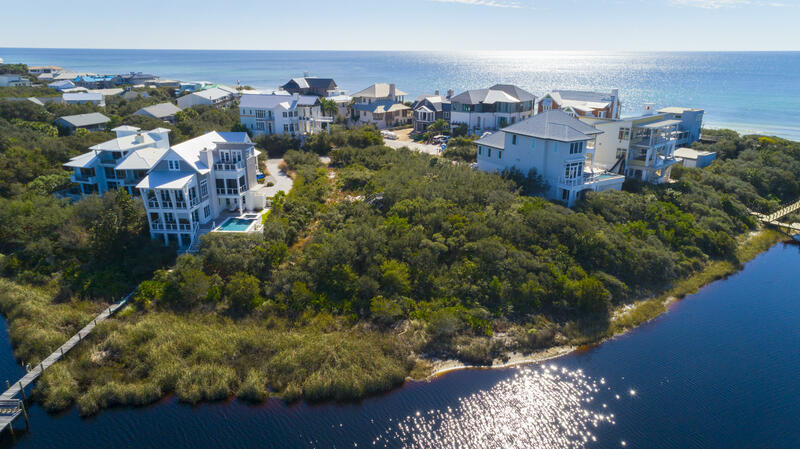 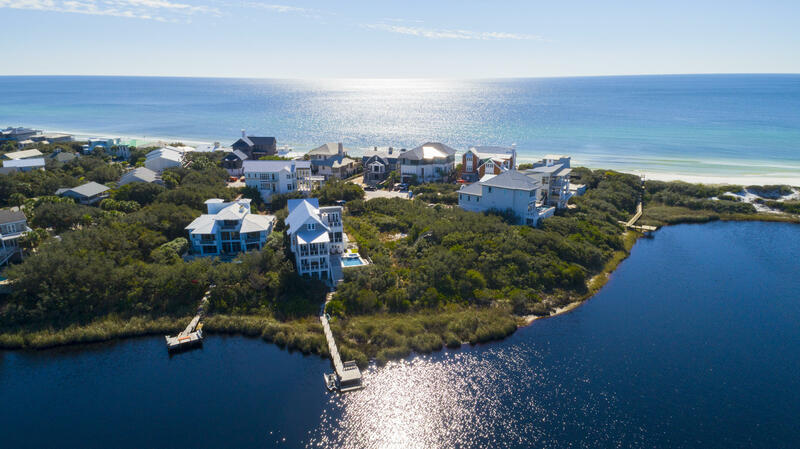 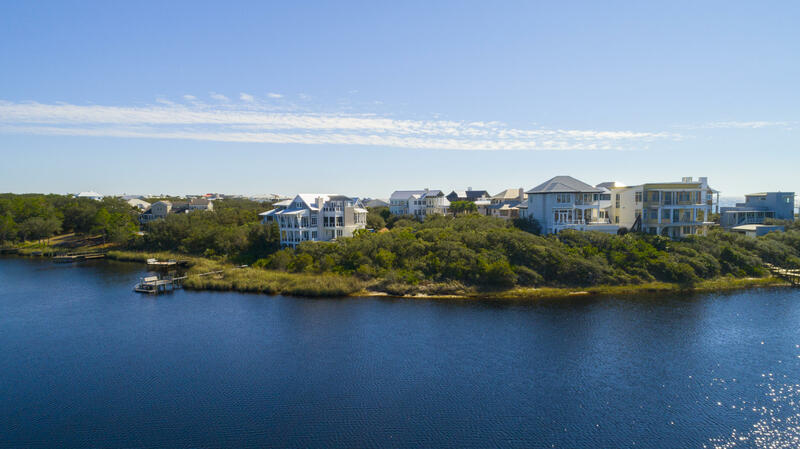 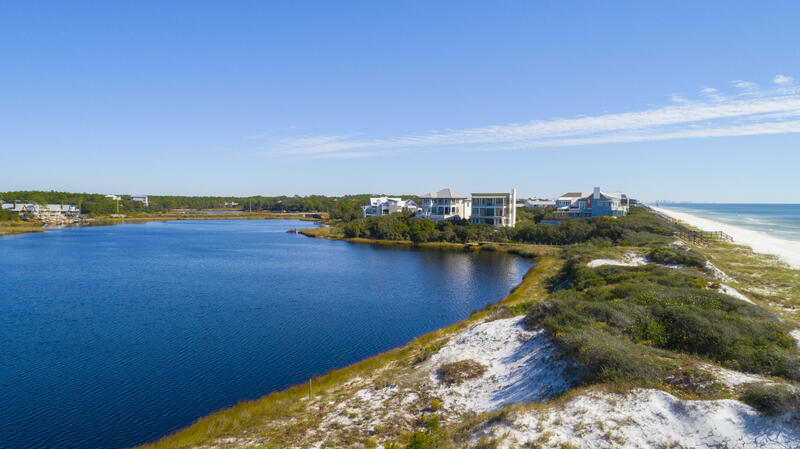 The most stunning views on 30A! 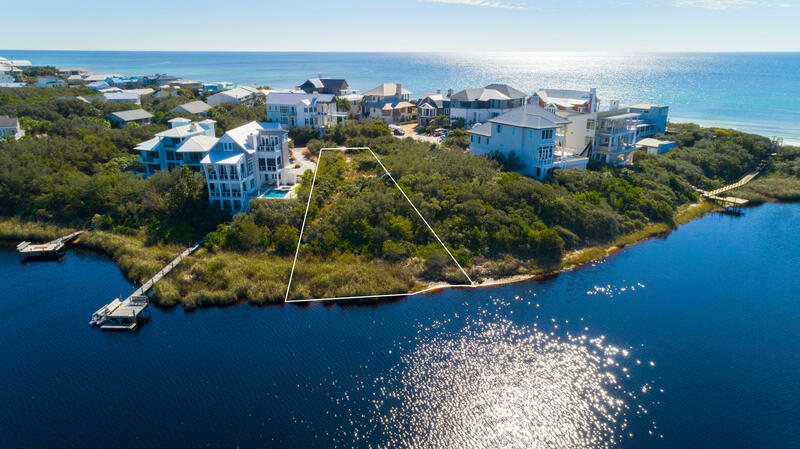 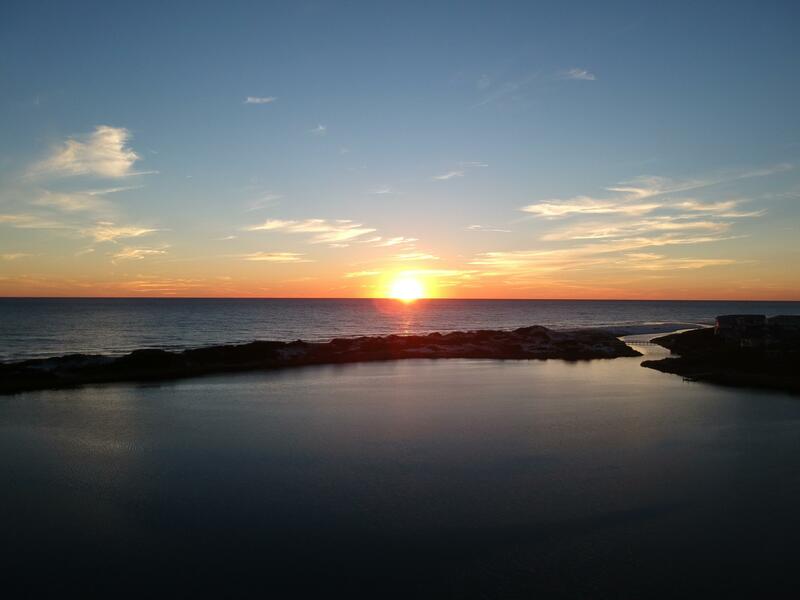 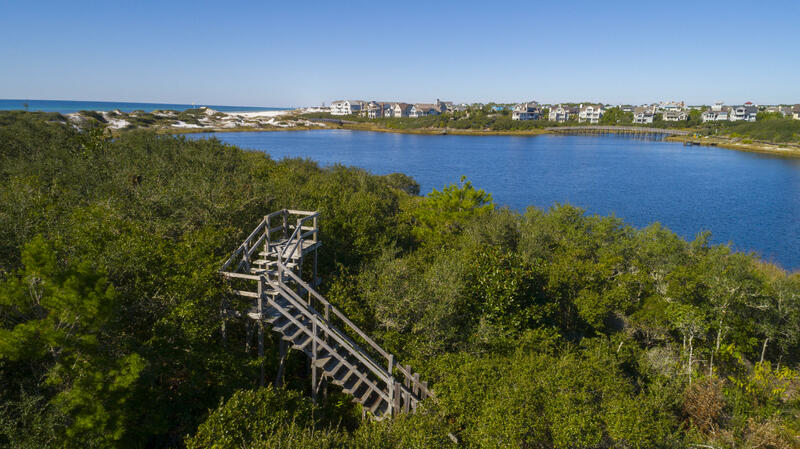 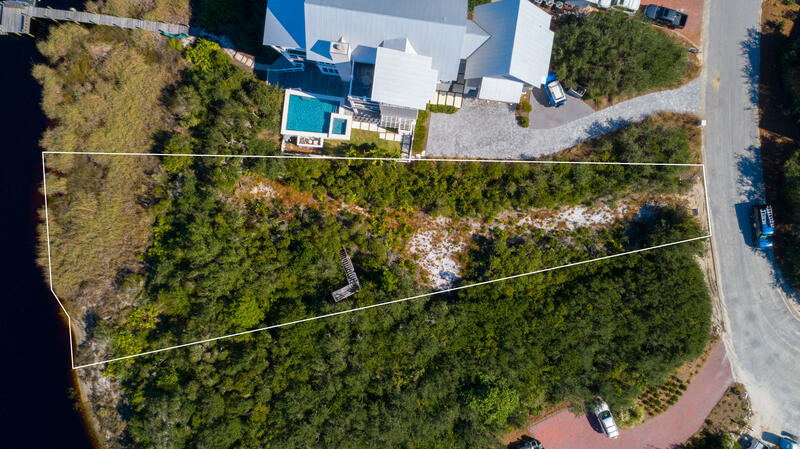 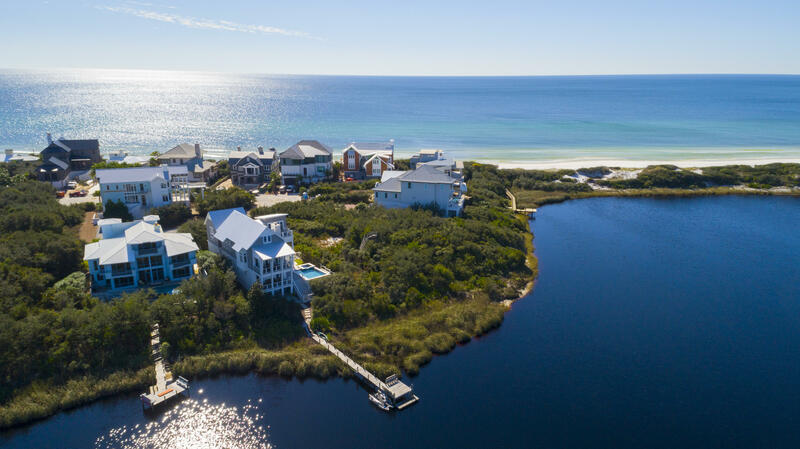 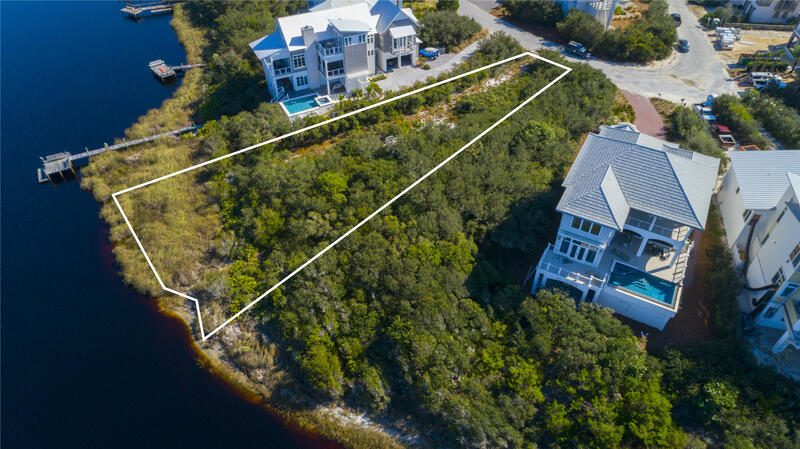 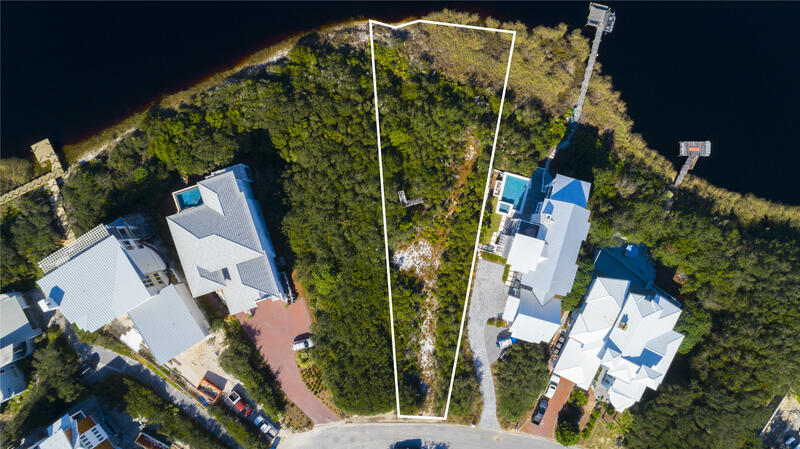 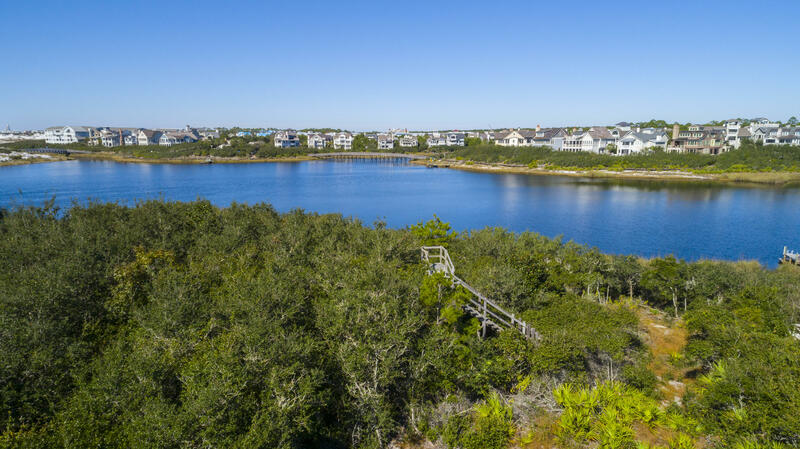 This quiet, waterfront lot high on the bluff features west-facing views over Camp Creek Coastal Dune Lake, pristine white sand dunes, AND the emerald waters of the Gulf for absolutely jaw-dropping sunset views. 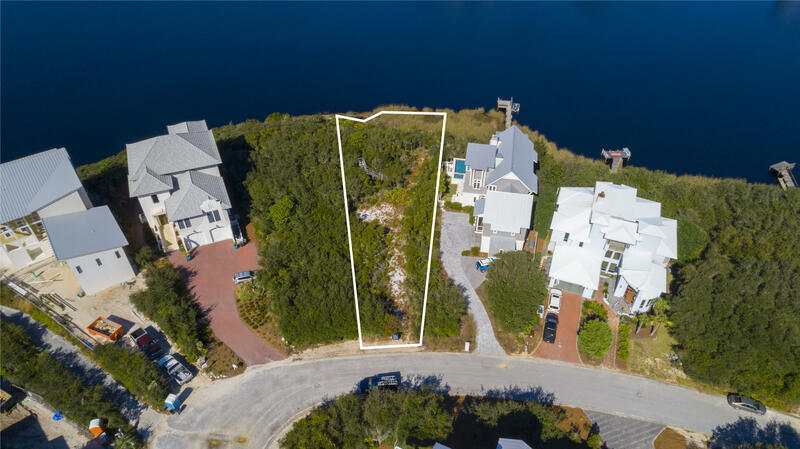 Tucked away in the quiet, gated community of the Camp Creek Lake Subdivision, this lakefront parcel includes custom home plans by Syed Design Group, approved by the HOA and with county-approved coastal dune lake setbacks. 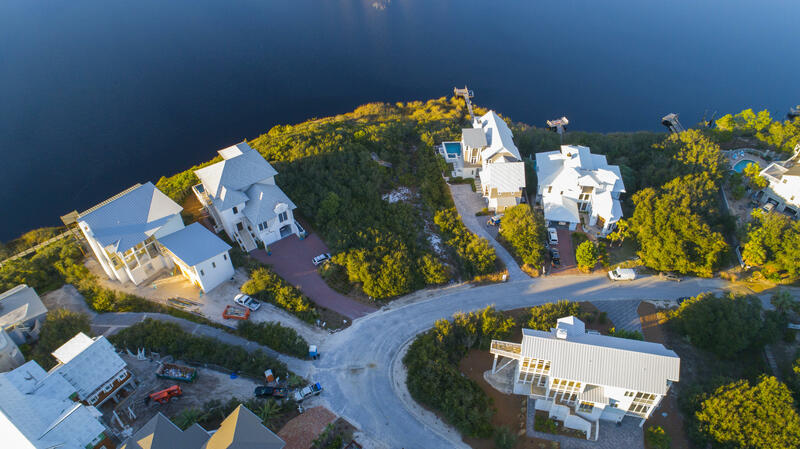 The plans provide for a 3-story one-of-a-kind luxury residence brilliantly designed to showcase the unparalleled views and natural beauty of this exceptional property.